Steel guitar, Bagpipes, Trombone, Vocalist - Alto, Dobro, Fiddle, Mandolin, Banjo, Other, Flute, Harmonica, Background Singer, Piano, Keyboard, Saxophone, Trumpet, Violin, Other Percussion, Drums, Bass Guitar, Acoustic Guitar, Lead Guitar, Rhythm Guitar, Vocalist - Soprano, Vocalist - Tenor, Vocalist - Baritone, Vocalist - Bass, Vocalist. Los Angeles, CA (January 21, 2010) – Studio One Media, Inc. ("Studio One") (OTCBB: SOMD), announced today that it has partnered with three of the biggest names in music and entertainment to host auditions to find the next generation Boy Band. Contestants can audition through March 3, 2010 at Studio One's MyStudio® personal recording studios in California, Arizona and the New York area. Boy Band is the brainchild of Perez Hilton, the self proclaimed "Queen of All Media," Simon Fuller, the genius behind American Idol, and Jamie King, the most prolific pop music tour director in the world. As entertainment industry power players with tremendous influence over today’s music marketplace, Hilton, King and Fuller have joined forces to form the next great Boy Band! Boy Band is looking for undiscovered talented teenage boys between 13 and 21 years old who are both excellent singers and dancers. The winners will have the incredible opportunity of being part of what is sure to become one of the most successful music groups in recent years. MyStudio offers contestants an easy, convenient and economical way for Boy Band contestants to create professional quality audition videos. Contestants will create 3 one-minute videos that will demonstrate their vocal and dancing abilities. Video auditions for Boy Band can be created at MyStudio recording studios at Scottsdale Fashion Square mall in Scottsdale, Arizona, at 8560 W. Sunset Blvd., West Hollywood, California and in the New York area beginning in February. Video auditions may also be submitted directly to boybandsearch.com. For complete details, rules and technical requirements please visit boybandsearch.com. In addition to hosting auditions for Boy Band, MyStudio was also responsible for the development of the boybandsearch.com website. For more information on MyStudio please visit MyStudio.net. Jamie King is the most prolific pop music tour director in the world, the mastermind behind Madonna's last four tours as well as recent tours for artists including: Britney Spears, Celine Dion, The Spice Girls, Ricky Martin, Christina Aguilera, Avril Lavigne and currently Rihanna’s 2010 World Tour. Perez Hilton, the self proclaimed “Queen of All Media,” has the proven ability to singlehandedly create a media blitz around an artist, as he has done for Lady GaGa, Katy Perry and countless others. Simon Fuller, one of the most successful music managers in the history of pop music and the genius behind the American Idol franchise, has made his name and his empire from discovering and cultivating new talent. MyStudio is a self-contained, state-of-the-art, audio/video recording studio that offers true professional recording studio-quality audio and HD broadcast-quality video with an ease, economy and convenience never before available. MyStudio eliminates the high cost and technological and logistical barriers inherent in the creation of high-quality online video content. MyStudio opens up a new world of opportunities for the creation of user-generated video content by amateurs and professionals alike. MyStudio can be used to create videos for music, modeling, comedy, dating, job resumes, auditions, personal messages and greetings. A five minute recording session costs $20. 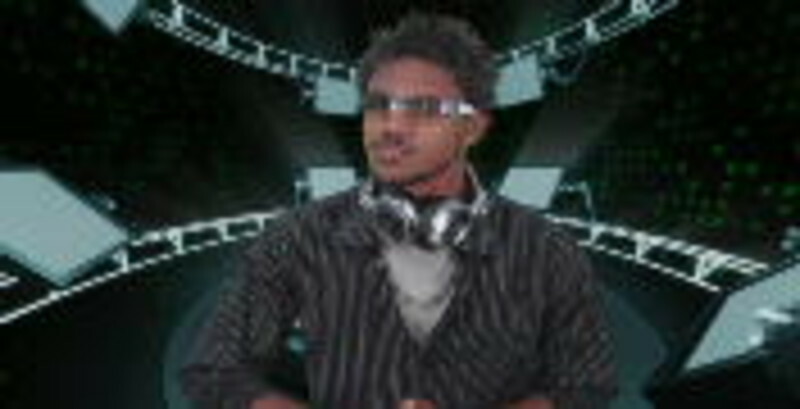 Using Hollywood-style green screen technology, MyStudio users can choose from over 1,000 HD virtual backgrounds for their video or they can upload their own custom background. In addition, MyStudio offers thousands of licensed karaoke tracks from EMI Music Publishing which allows a consumer to legally create a music video for public viewing online. Within minutes of recording, videos are automatically uploaded to MyStudio.net website, which offers free member profile pages and video sharing in a social networking environment. At MyStudio.net, Members can enter contests, recieve a free DVD of their video, download MP3 audio files, access embed codes or print high resolution photos from their video. MyStudio locations are in Scottsdale, Arizona, West Hollywood, California and coming in February to the New York area. Additional locations coming soon. Studio One Media, Inc. ("Studio One") is a diversified media and technology company with offices in Scottsdale, Arizona and West Hollywood, California. Studio One is engaged in the research and development of proprietary, leading edge audio and video technologies for professional and consumer use. Studio One subsidiaries and divisions include Studio One Entertainment, Inc., MyStudio Recording Studios, MyStudio Music, Inc., MyStudio.net Management, Inc., MyStudio Audio Labs, Inc., and MyStudio Masters. Studio One has completed multiyear agreements with EMI Music Publishing, The GRAMMY Foundation and Reality TV giant, Mark Burnett Productions. GO TO MYSTUDIO.NET FOR MORE INFO!! Monday 27 Apr 2009 00:00 - “Are You Smart Than A 5th Grader?” - Auditioning KIDS for its new class! Description: “Are You Smarter Than A 5th Grader?” (www.fox.com/areyousmarter) is a Mark Burnett Productions television game show, hosted by Jeff Foxworthy, where a contestant has the opportunity to win cash and or prizes by answering questions taken from grade school class materials. The smash hit show “Are You Smarter Than A 5th Grader” is looking for its new class…and you could be part of it! Auditions are open to students currently in the 5th grade (not 4th graders that will be in the 5th grade this fall). The interactive audition will consist of a series of automated questions and time to answer each question. To create your audition video go to MyStudio located at Scottsdale Fashion Square mall. After creating your audition video, you will create a free profile at Mystudio.net, activate your video, mark your audition video “PRIVATE” (video should not be posted as “public” at anytime) and click the Enter Audition button below and follow the easy steps. Monday 27 Apr 2009 00:00 - Audition Name: “Are You Smart Than A 5th Grader?” Auditions for ADULT Contestants! The smash hit show “Are You Smarter Than A 5th Grader” is looking for contestants…and you could be one of them! Auditions for contestants are open to men and women 18 years of age or older. The interactive audition will consist of a series of automated questions and time to answer each question. Additionally, you must download the applicable forms, fill them out completely and mail them to the address noted on each form or bring them with you at the time of creating your audition video and give them to the MyStudio Attendant at the mall location. Description: In conjunction with the partnership between MyStudio and THE GRAMMY FOUNDATION, GRAMMY® Jazz Ensembles applicants can create their audition videos at MyStudio. Selectees: The GRAMMY Jazz Ensembles program selects 30 top high school instrumentalists and singers to receive an all-expenses-paid trip to perform in the Jazz Choir, Big Band or Combo at GRAMMY Week events. 2) Print application number (starts with INV-) & requirements that are sent via email. 3) Prepare audition materials and 3 selections according to requirements. 4) Visit MyStudio at Scottsdale Fashion Square Mall in Scottsdale, Arizona to record your audition videos free of charge. 6) Click the “Enter Audition” button below and follow the easy steps for each audition video being submitted. Note: Your videos will automatically be sent to the GRAMMY Foundation when you click on the Enter Audition button, therefore, there will be no need to send DVDs of your performances. Prize: The GRAMMY Jazz Ensemble program selects top high school instrumentalists and singers to receive an all-expenses-paid trip to perform in the Jazz Choir, Big Band or Combo at GRAMMY Week events. The high school of each entrant receives educational music products and nearly $2 million in scholarships are offered each year to selectees. Description: STILETTO Entertainment is an international entertainment production, management and marketing company. STILETTO Entertainment produces shows for a fleet of 14 cruise ships. STILETTO casts over 350 singers and dancers each year. They perform in a variety of shows including Broadway, Las Vegas and contemporary pop. The following criteria are required for all persons auditioning. You must be at least 18 years old to apply. Males - 5'10"to 6'3" (must have a solid 'G' and developed falsetto), Females - 5'4" to 5'9" (Dress size 2-8), versatile singers with strong Broadway-Pop belt and the ability to sing contemporary legit and harmonize. Must have excellent acting skills and move well. Prize: Persons selected by the STILETTO Entertainment Cruise Ship Casting Directors, may be provided employment.